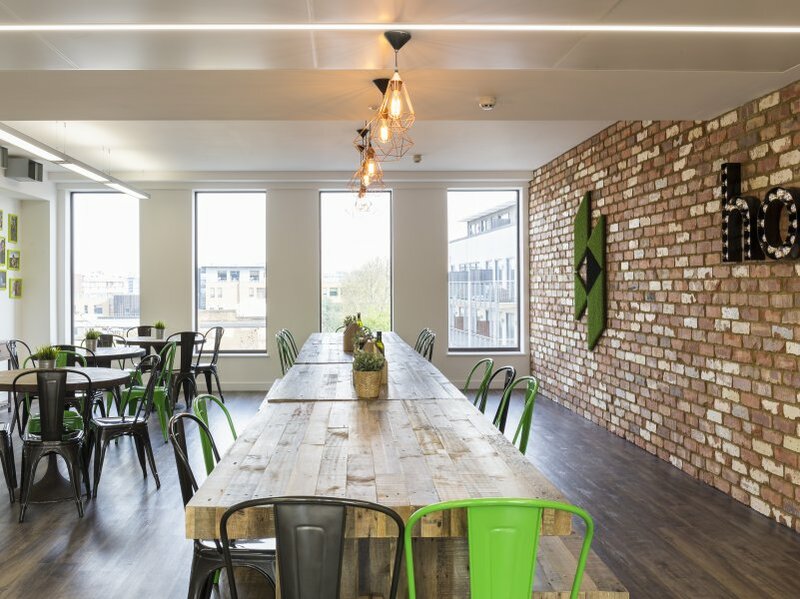 Houzz wanted to create an environment where their staff feel like they’re part of a family. 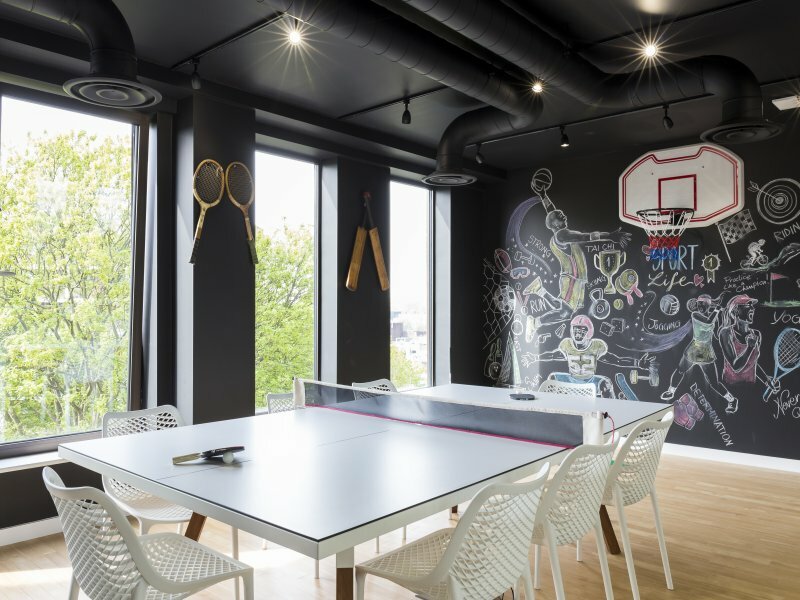 The design was conducted in-house by Houzz with help from Tetris-Bluu, an interior design firm. Creating an environment where our staff feel like they're part of a family is an important part of our culture and the office reflects this. Houzz is an incredibly collaborative organisation. Because of this, we wanted to design the space to encourage team members to talk to and learn from each other - we wanted a completely open floor plan, and for all meeting rooms to have glass walls. 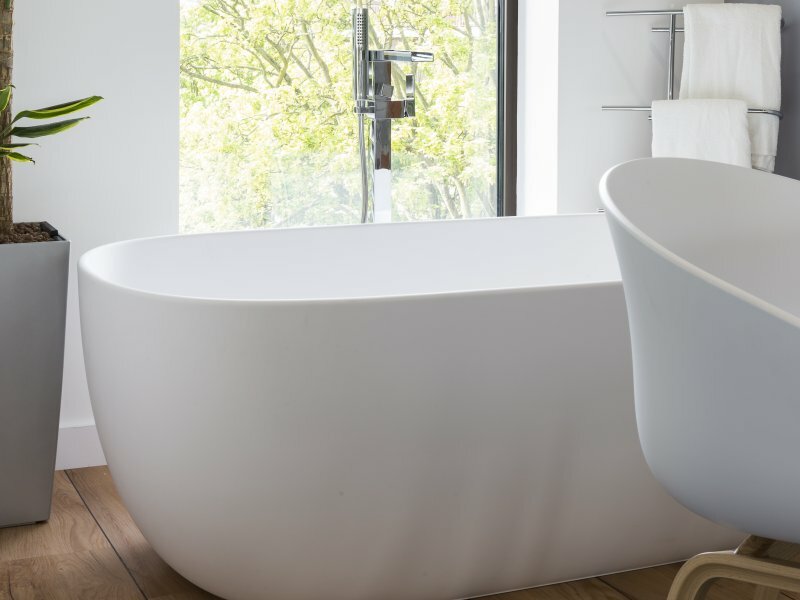 Houzz was involved at all stages of the design journey. 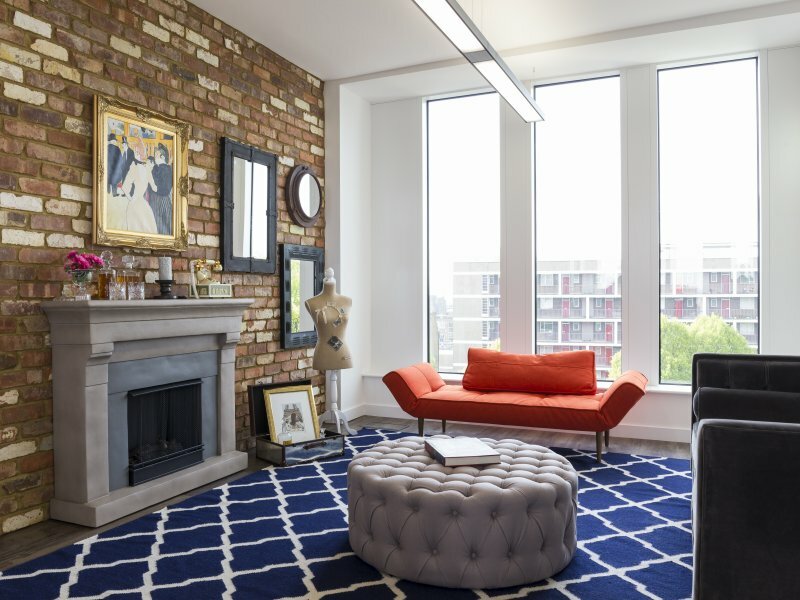 Meeting rooms and break-out areas represent a different room in the home, in a different European country (for example there's a British garden room, Swedish midcentury living room, Berlin record room, UK boxing gym, Parisian loft, Spanish bathroom, Italian wardrobe). 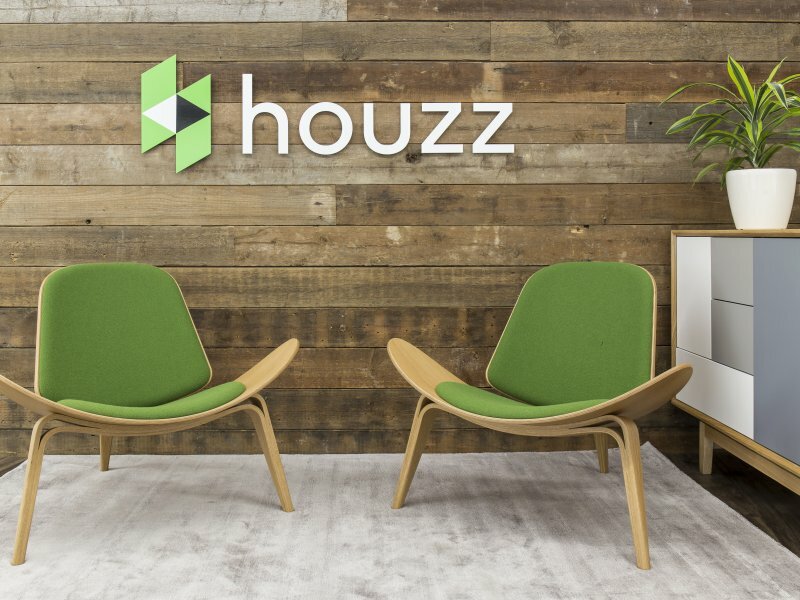 Everything in the office was purchased from Houzz's marketplace in the US. 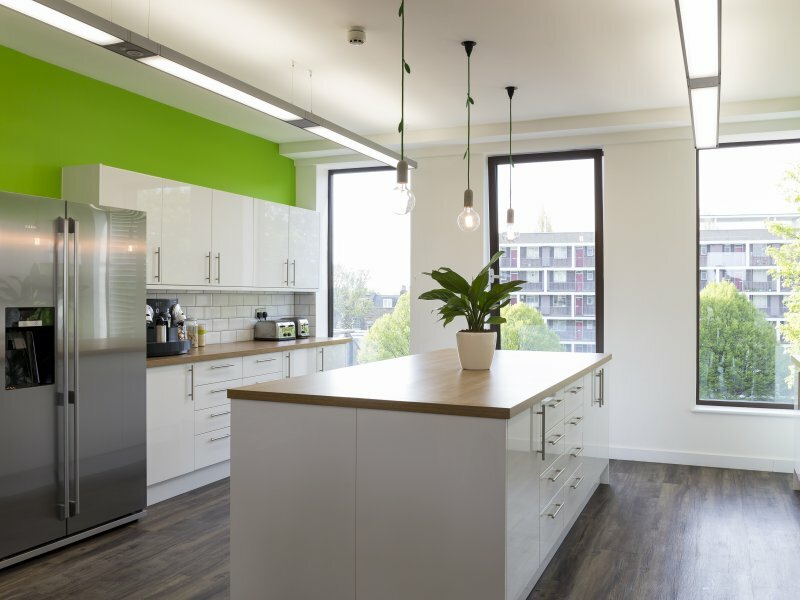 Houzz has also designed, renovated and fitted offices in Germany (Berlin), Australia (Sydney), Japan (Tokyo), Israel (Tel Aviv) and the US (Palo Alto and Irvine, Calif.). The overall brief was to create a home-from-home environment that the whole team, which spans many European nationalities, can enjoy. 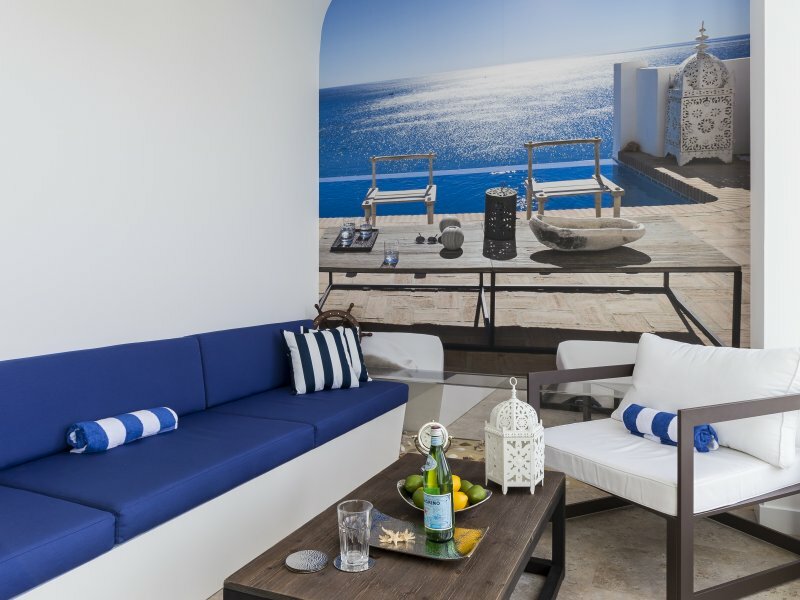 As such, the meeting rooms and break-out areas represent different rooms in the home, and take their inspiration from different European countries. For example, there's a British garden room, a Swedish midcentury living room, Berlin record room, UK boxing gym, Parisian loft, Spanish bathroom and Italian wardrobe. 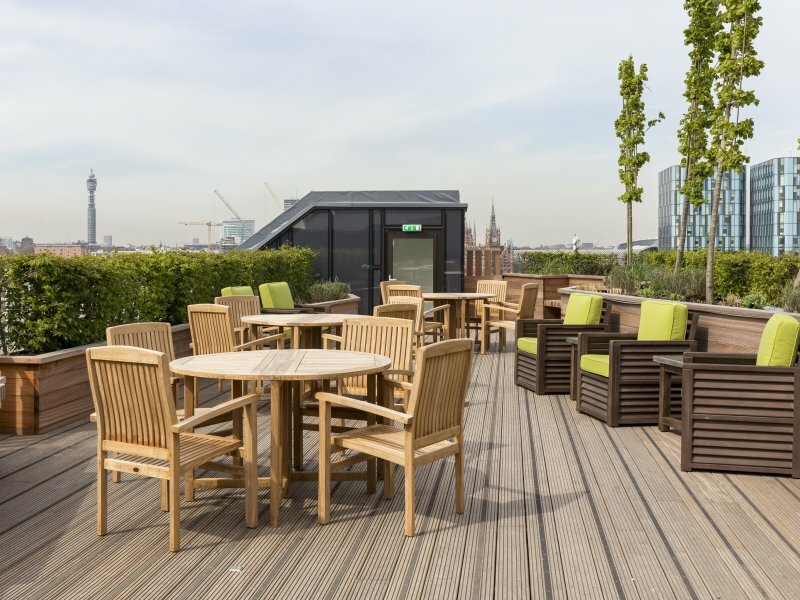 The brick building was completely gutted on the inside, a new floor was added, including an amazing roof terrace with a 360 view of London. 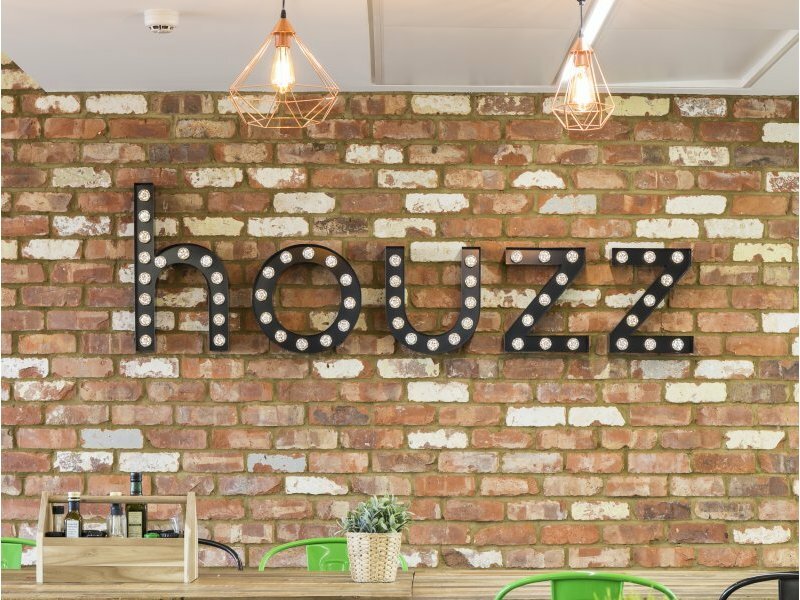 At Houzz we view our staff as family. 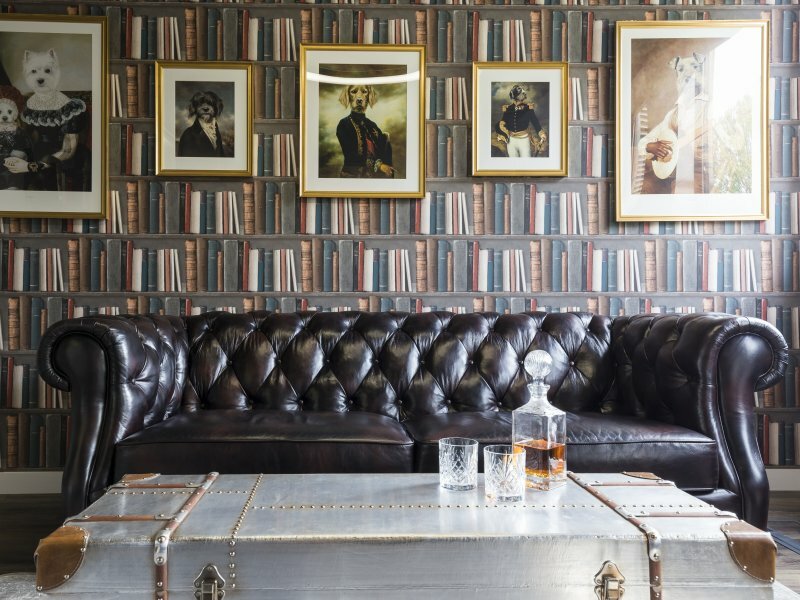 As such, our priority was to create an environment where people feel like they're part of the family!